MONDAY, Aug. 6, 2018 -- Hepatitis C virus (HCV)-negative recipients of HCV-infected kidneys experience HCV cure and good quality of life, according to research published online Aug. 7 in the Annals of Internal Medicine. Peter P. Reese, M.D., from the University of Pennsylvania in Philadelphia, and colleagues describe 12-month HCV treatment outcomes for 10 kidney recipients in two small trials including the Transplanting Hepatitis C kidneys into Negative Kidney Recipients (THINKER-1) trial. Six-month data were included for 10 additional recipients. The recipients received kidneys infected with HCV genotype 1 and on post-transplant day three they received elbasvir-grazoprevir. The researchers found that all participants achieved HCV cure. Hepatic and renal complications were managed successfully or were transient. At four weeks, the mean RAND-36 Physical Component Summary (PCS) and Mental Component Summary (MCS) quality-of-life scores decreased, followed by an increase in PCS scores above pretransplant values, while MCS scores returned to baseline. 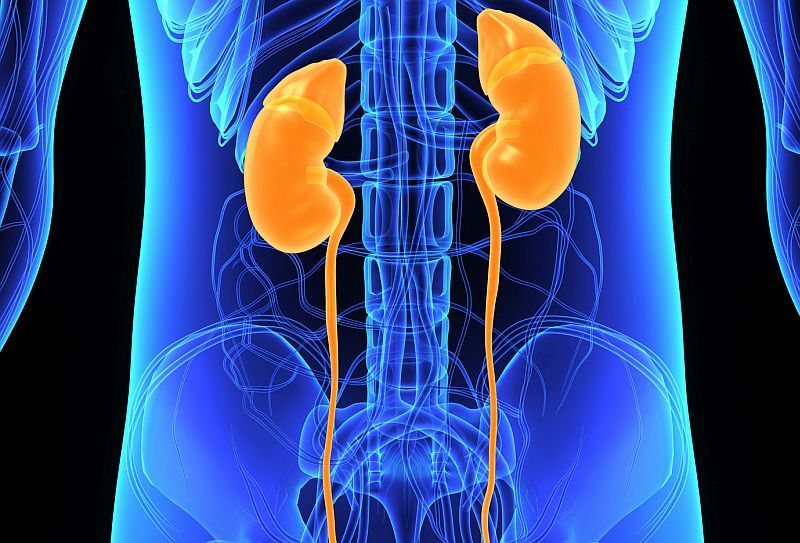 The estimated glomerular filtration rates were similar for THINKER participants and matched recipients of HCV-negative kidneys at six and 12 months (median, 67.5 versus 66.2 mL/min/1.73 m² and 72.8 versus 67.2 mL/min/1.73 m², respectively). "In summary, this trial provides reassuring (albeit preliminary) evidence that kidneys from HCV-infected donors may be safely transplanted into HCV-negative recipients," the authors write. Several authors disclosed financial ties to pharmaceutical companies, including Merck, which funded the study and provided elbasvir-grazoprevir.